In the event of any dispute arising between the Insurer and the Insured in respect of the implementation and/ or Interpretation of this Policy, the dispute shall be settled amicably within 60 (sixty) days since the dispute arises. The dispute arises since the Insured or the Insurer has expressed in writing his disagreement on the subject matter of the dispute. If the dispute could not be settled, the insurer shall give the option to the Insured to elect either one of the following dispute clauses to settle the dispute and such choice could not be revoked. The Insured must notify his choice to the insurer by registered letter, telegrams, telex, facsimile, E-mail or by courier. 1. The arbitration Ad Hoc consists of three arbitrators. The Insured and the Insurer each shall appoint on arbitrators within 30 (thirty) days from the date of receipt of the written notification, then the two arbitration shall appoint the third arbitrator within 14 (fourteen) days from the date of appointment of the second arbitration Ad Hoc. 3. The arbitrator shall examine the case and make an award within 180 (one hundred and eighty) days from the date of the formation of the Arbitration Ad Hoc. The period of examination of the case could be extended upon the consent of both parties and if it is deemed necessary by the Arbitration Ad Hoc. 4. The Arbitration award is final, binding and enforceable for both parties, the Insured and The Insurer. 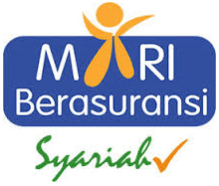 Should the Insured and or the Insurer fail to comply with the award shall be executed under the request of the other party, the award shall be executed under the order of the Chairman of the court (Ketua Pengadilan negeri) where the defendant domiciles. 5. Matters which are not provided and or not sufficiently provided under this clause shall be subject to the provisions of the Act of the Republic Indonesia NR. 30 dated August, 12, 1999 regarding the Arbitration and Alternative Dispute Resolution. It is hereby noted and agreed that the Insured and the Insurer shall settle the dispute through court of law where the defendant resides.